The following resolutions were passed by the West Texas County Judges and Commissioners Association representing 118 counties in the State of Texas on April 25, 2013, during the Association’s Annual Conference. NOW, THEREFORE, BE IT RESOLVED that the West Texas County Judges and Commissioners Association expresses its wholehearted thanks and deep appreciation to the Honorable Commissioners Court of Midland County, sponsors, contributors, and exhibitors for their courteous and warm hospitality extended to each of us. 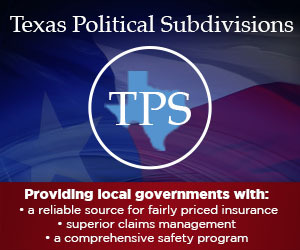 WHEREAS, the members of the West Texas County Judges and Commissioners Association recognize their duty as law-abiding citizens to act in accordance with the U.S. Constitution and the Texas Constitution, and agree that the right to keep and bear arms shall not be infringed upon by any government or organization, political or otherwise. Section 1. Calls upon our state legislators and elected officials to join with us in the affirmation of the rights of our citizens under the 2nd Amendment. Section 2. All federal acts, laws, executive orders, agency orders, and rules or regulations of all kinds with the purpose, intent, or effect of confiscating any firearm, banning any firearm, limiting the size of a magazine for any firearm, imposing any limit on the ammunition that may be purchased for any firearm, taxing any firearm or ammunition therefore, or requiring the registration of any firearm or ammunition therefore, infringes upon Texans’ right to bear arms in direct violation of the Second Amendment to the Constitution of the United States, and therefore, any such law is not made in pursuance of the Constitution, is not authorized by the Constitution, and thus, is not the supreme law of the land, and consequently, is invalid in the State of Texas and shall be further considered null and void and of no effect in the 118 counties of this Association. Section 3. That all state agencies are instructed to refuse requests or directives by federal agencies acting under unconstitutional powers enumerated in Section 2 above that would infringe upon our residents’ second, ninth, and tenth amendment rights, or other inalienable rights not here explicitly enumerated. Section 4. Other communities and jurisdictions join with us in this action by passing similar resolutions. Section 5. That copies of this resolution be immediately transmitted to the President of the United States; the President of the United States Senate; the Speaker of the House of Representatives; each member of Congress from the State of Texas; each justice on the United States Supreme Court; the Governor of the State of Texas; the Attorney General of the State of Texas; the President of the Senate and the Speaker of the House of Representatives of the Texas Legislature; and each individual legislator who represents the counties in our Association. NOW, THEREFORE, BE IT RESOLVED, that the West Texas County Judges and Commissioners Association is opposed to any legislative action that would remove current county authority to regulate fireworks. 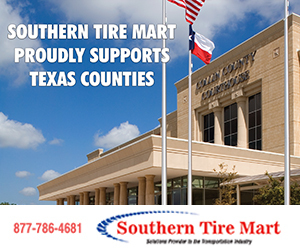 NOW, THEREFORE, BE IT RESOLVED that the West Texas County Judges and Commissioners Association requests that the Texas Legislature provide assistance to Texas counties to repair and rehabilitate county roads. County responsibility for cost of transport of dead bodies. Opposition to mandatory consolidation of appraisal districts. Allow counties to adopt an automatic procedure to qualify jail inmates as indigent for indigent health care. Authorize counties to publish a single, simplified, combined tax rate and budget notice. Support funding for water supply projects.